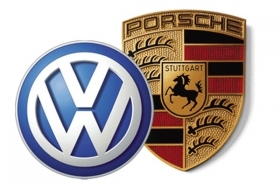 FRANKFURT (Bloomberg) -- Volkswagen Group may pay 600 million euros ($750 million) more than originally planned for the remaining 50.1 of Porsche's automotive business that it currently does not own, the Financial Times Deutchland reported, citing finance and company sources. VW will likely pay 4.5 billion euros for the stake, instead of the 3.9 billion euros that was agreed on earlier between the two companies, the German daily newspaper reported. The higher price is due to the achievement of cost reductions between the two companies earlier than planned, the FTD said.